I have a large number (~50000) of square greyscale images, about 180x180 pixels. I need to efficiently scan them for containing significant block like regions. See the following pictures where I have drawn examples. However they could be scattered anywhere in the image and have fuzzy boundaries so some thresholding is necessary. What algorithms can scan images and pick up features like this, efficiently? Browse other questions tagged image-processing wavelet shape-analysis shape-discriptor or ask your own question. 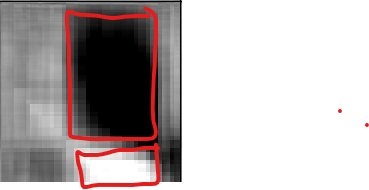 Is there any fast algorithm to compute the most similar rectangular regions in two images? 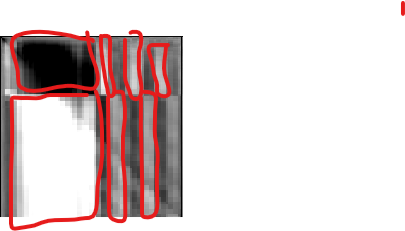 Detection of interesting structure in images?